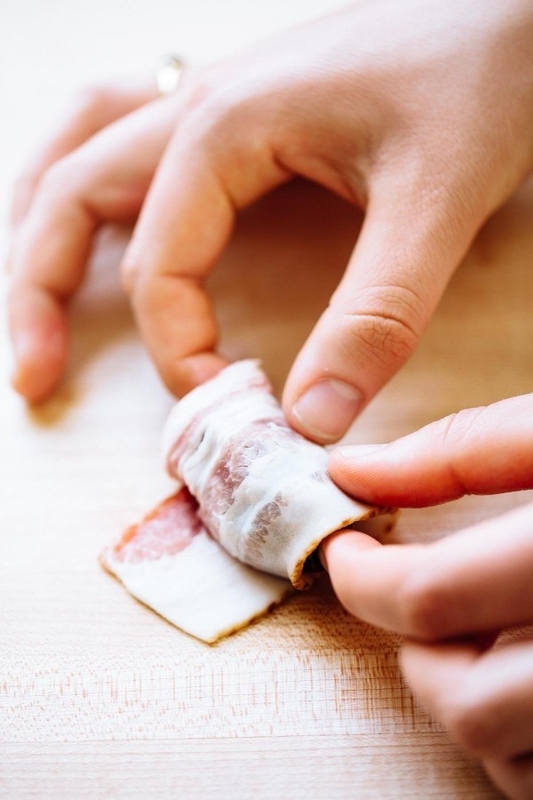 Everything tastes better wrapped in bacon, especially when you throw sweet dates and creamy goat cheese into the mix. Get the recipe. 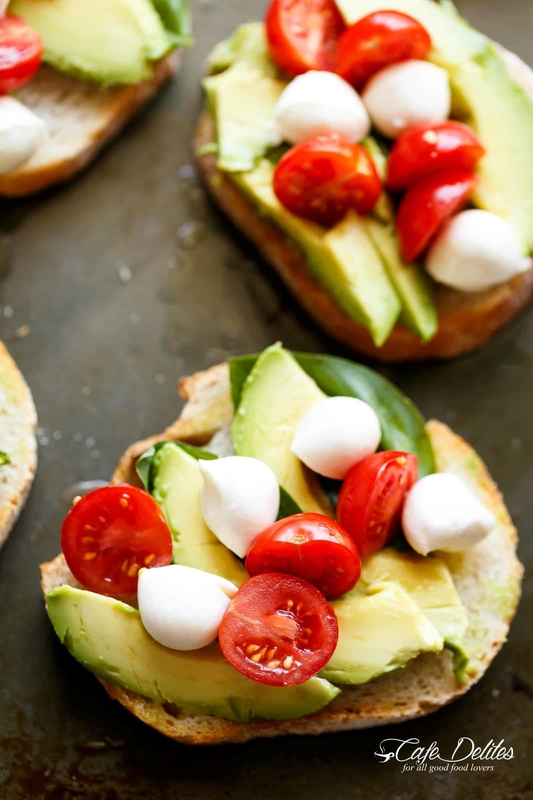 You can start out with store bought crostini to make this appetizer even more of a breeze. Get the recipe. 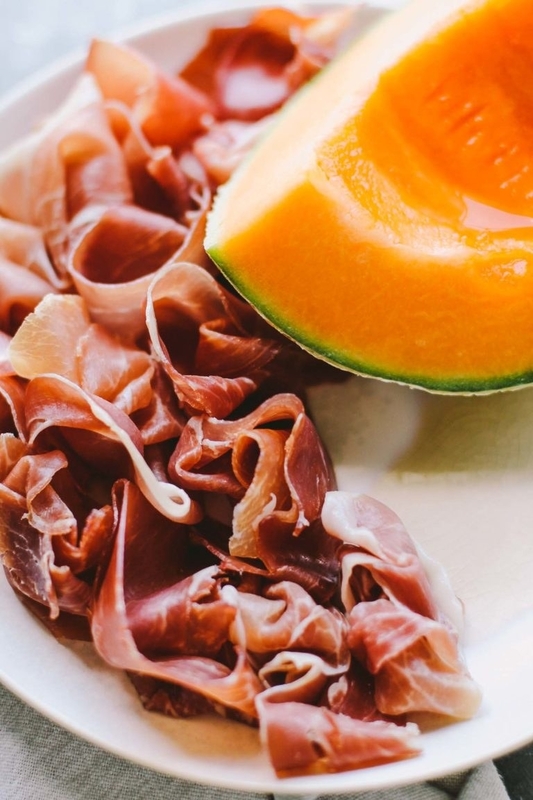 This three ingredient, sweet-and-savory recipe is a total no brainer. Get the recipe. Nothing says "I love you" like a plate of melty, creamy Brie cheese. Get the recipe. 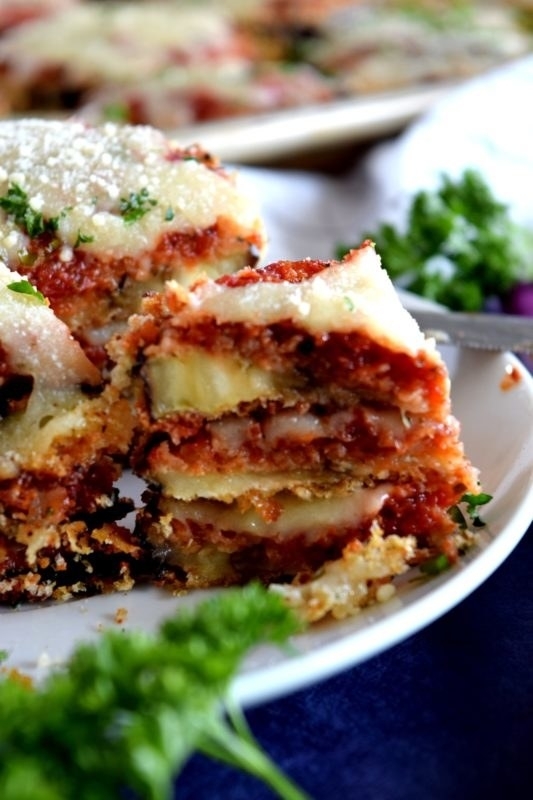 This recipe gives classic lasagna a new twist. 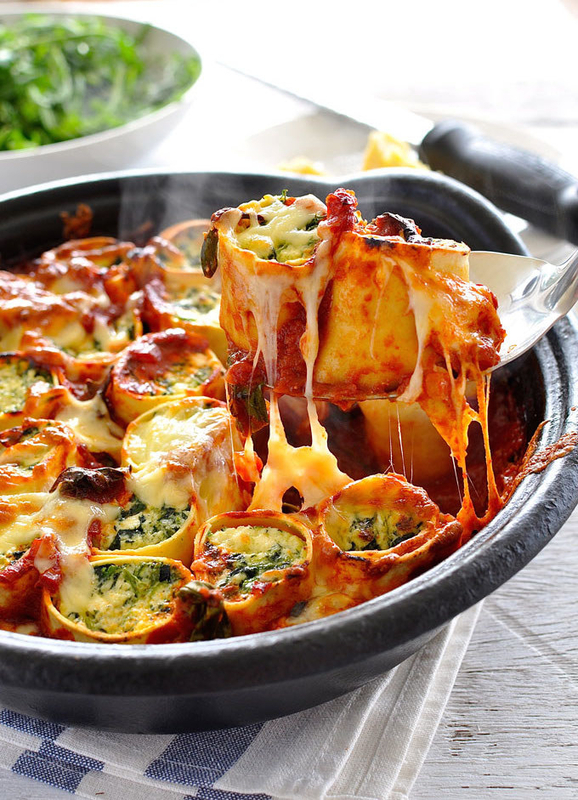 Lasagna noodles get rolled up with a creamy spinach and ricotta filling, poached in marinara sauce, covered with cheese, and cooked until golden-brown, bubbly, cheesy perfection. Get the recipe. 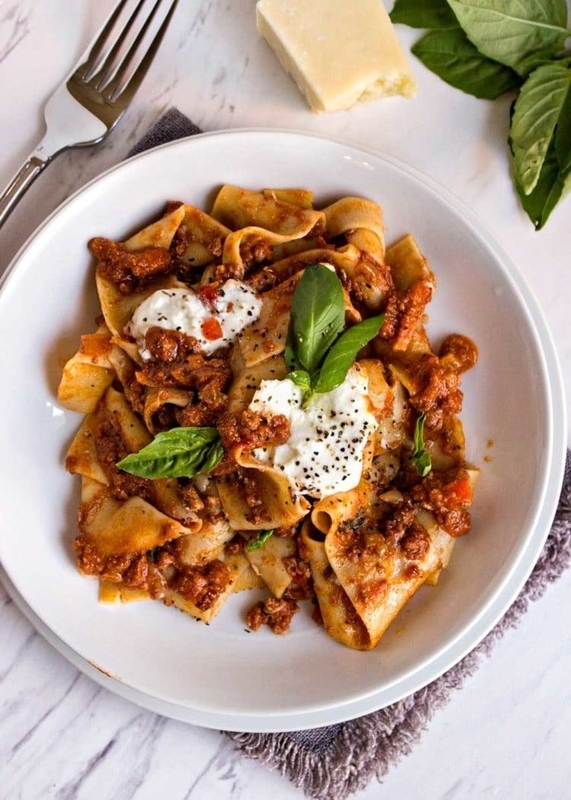 As far as lasagna goes, this single sheet pan recipe is pretty seamless. 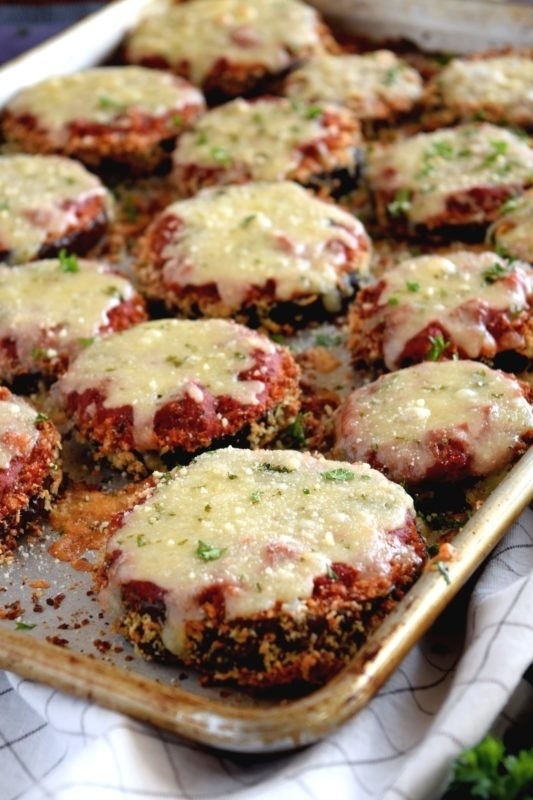 Just bread and bake the eggplant for 20 minutes, then layer them with tomato sauce and mozzarella cheese, and bake for a 20 more minutes until the cheese is golden brown and melted. Get the recipe. 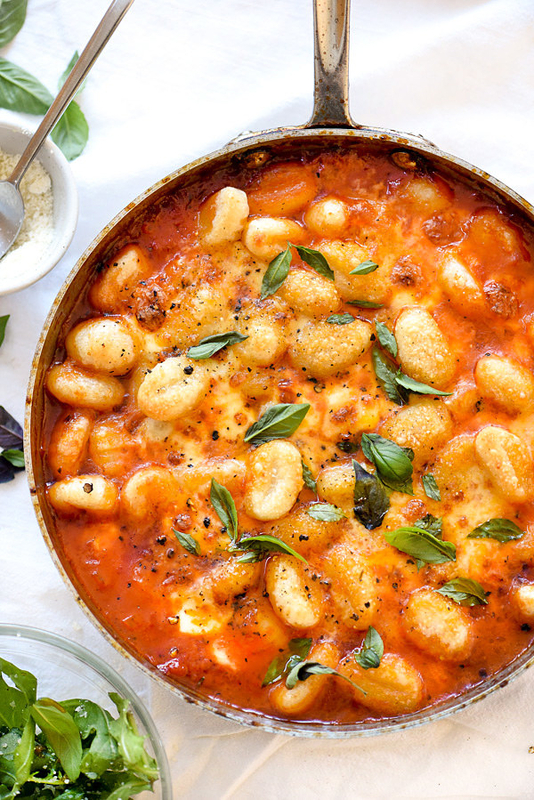 If you want to make gnocchi from scratch, I applaud you, but a store bought version will do the trick. 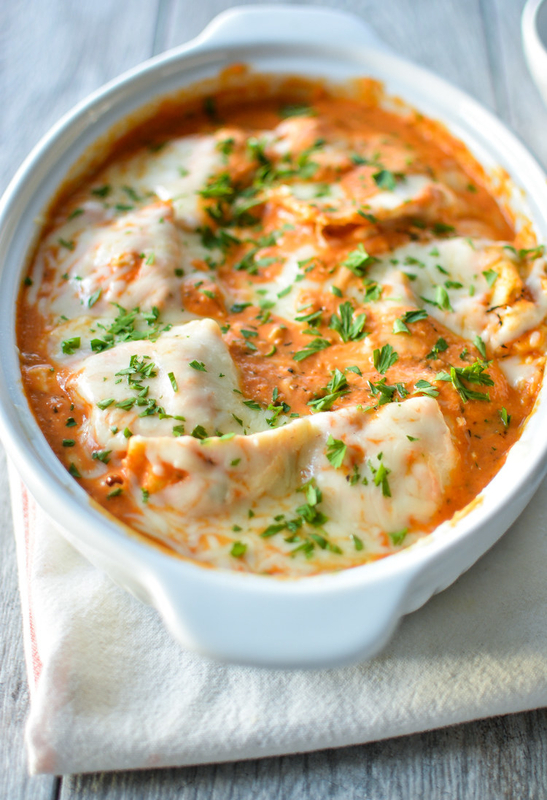 This recipe is all about the rich and creamy tomato sauce that's bubbling with cheese. Get the recipe. 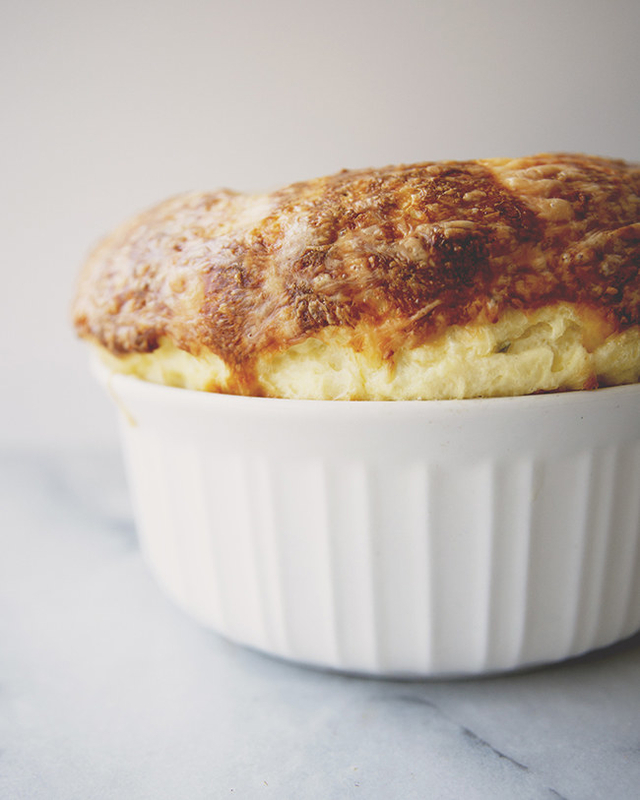 Souffle is one of those fancy-sounding French dishes that seems like it takes days to perfect. 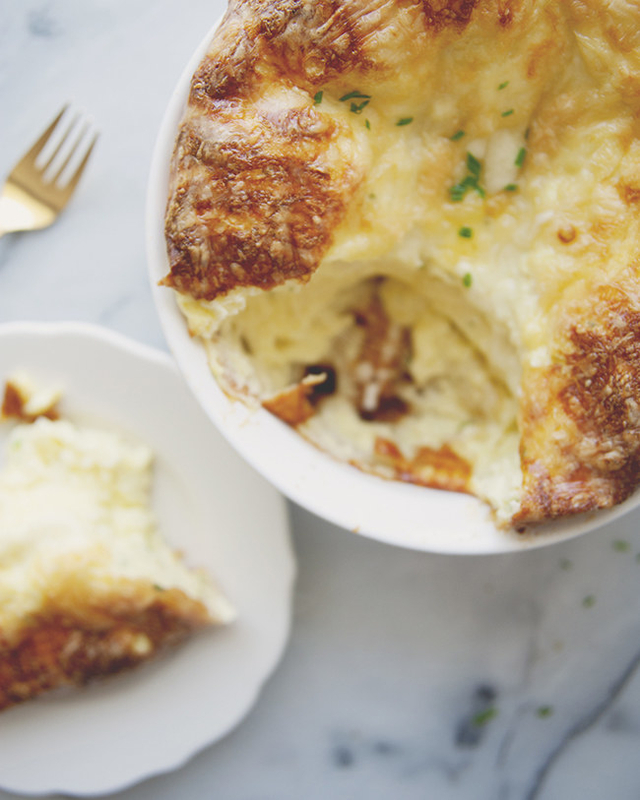 This recipe, though, calls for just a few simple ingredients like milk, eggs, flour, butter, and Swiss cheese. Get the recipe. 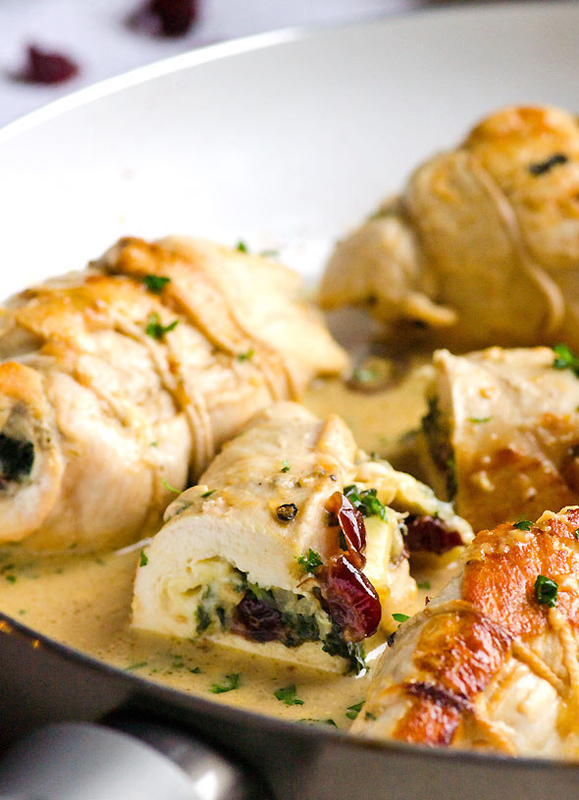 Far from your run-of-the-mill chicken dinner, this creamy, savory dish is definitely a memorable one. Sounds pretty fancy, but the whole thing comes together in 30 minutes. Get the recipe. These lamb chops are coated in dijon mustard, breadcrumbs, lemon zest, mint, parsley, rosemary, salt, and pepper. 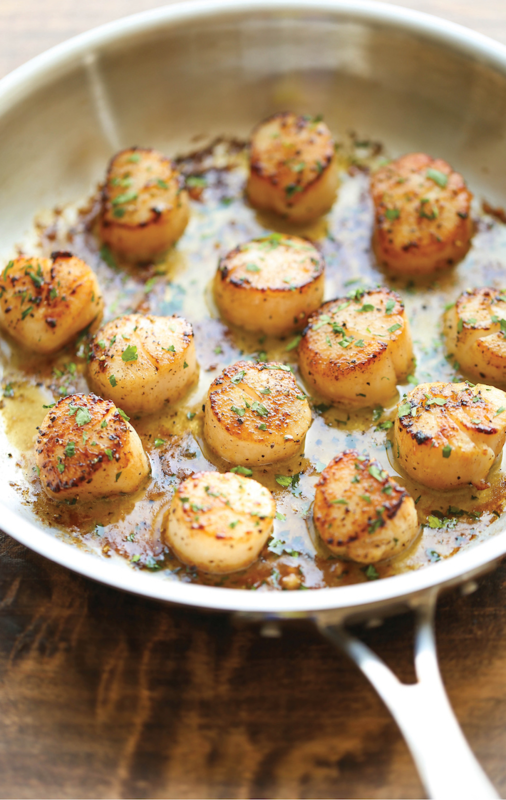 After about 20 minutes in the oven, they'll be melt-in-your-mouth tender. iGet the recipe. You could make the sauce from scratch or save time by opting for your favorite canned tomato sauce. Get the recipe. 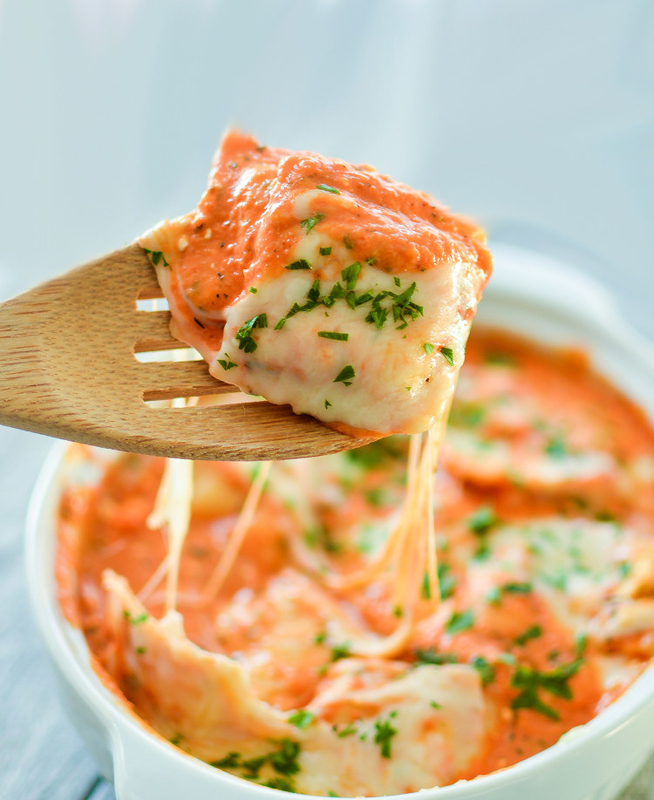 Holidays are an excuse to splurge, so go ahead and whip up this decadent pasta recipe made with heavy cream, stuffed ravioli, and lots of cheese. Get the recipe. Forget about all the stirring; this vegetarian risotto gets cooked to perfection in an Instant Pot. Get the recipe. 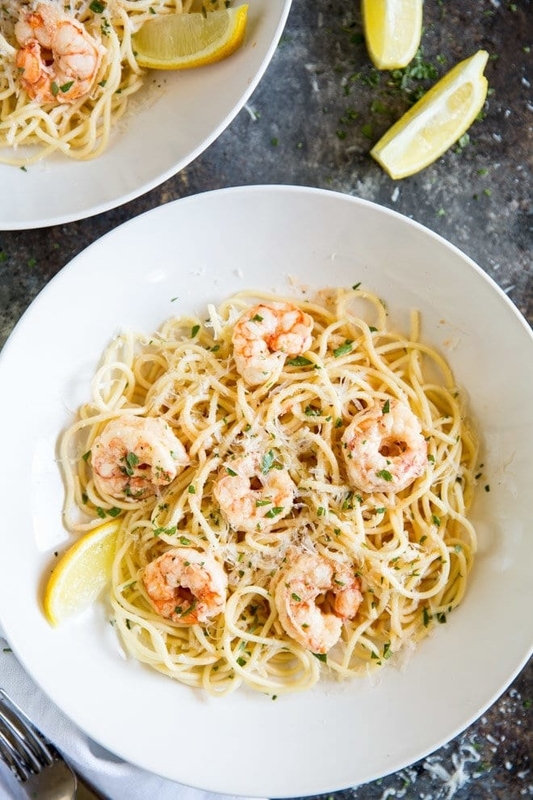 This 30-minute pasta recipe is a step above the ordinary, thanks to zesty, buttery, garlicky shrimp. Get the recipe. 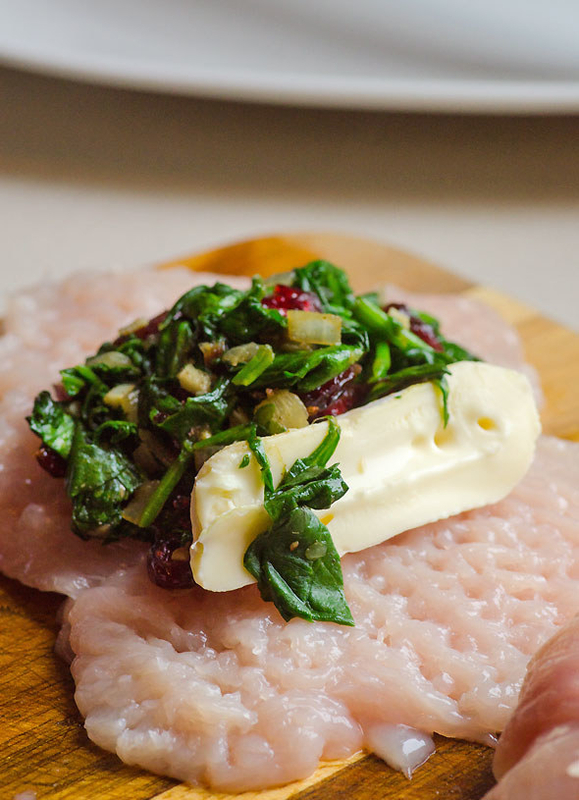 Boneless, skinless chicken breasts get stuffed with a mixture of brie and sautéed spinach, cranberries, and thyme. Serve them over rice, quinoa, or your favorite grain. Get the recipe. 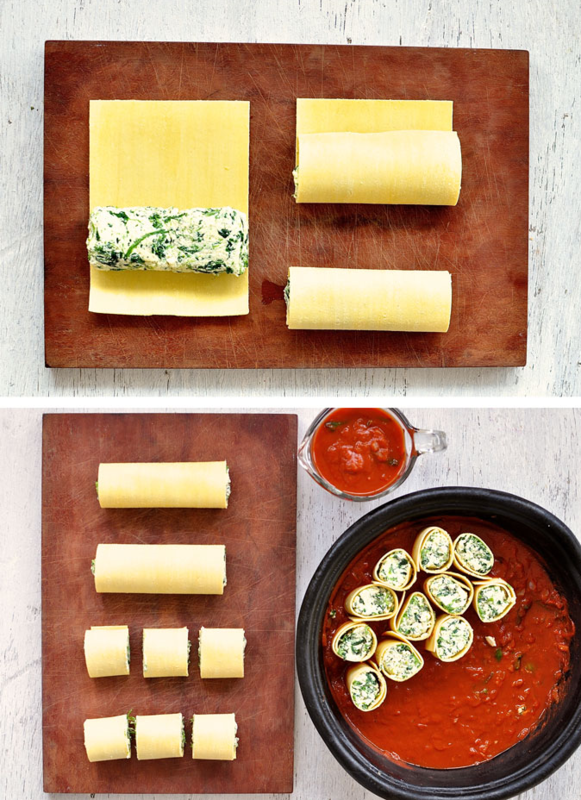 It's crazy how a few ingredients can take an everyday meal from basic to incredible. 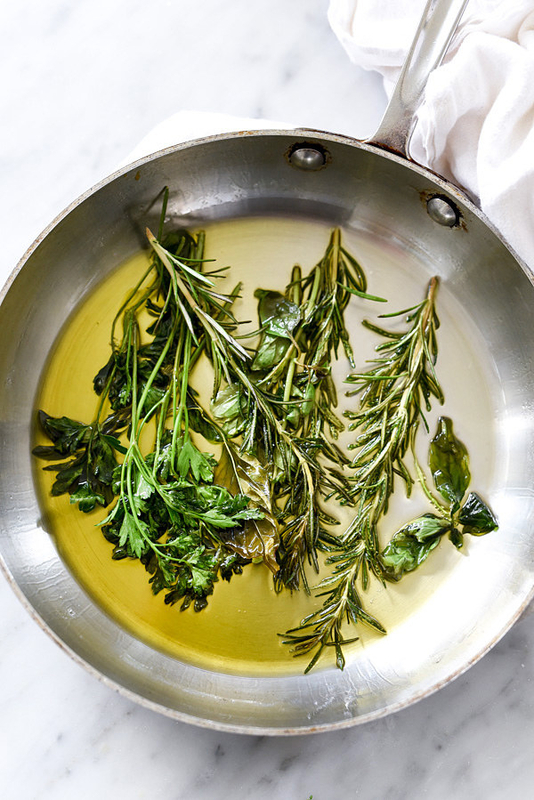 In this recipe, it's all thanks to a sprinkle of rosemary and thyme plus a Japanese-style dipping sauce made of ponzu, carrot, and daikon. Get the recipe. Valentine's Day is all about indulgence, and nothing says treat yourself like lobster. These garlicky, buttery, broiled lobster tails come together in ten minutes flat, so there's really no excuse not to make them. Get the recipe. 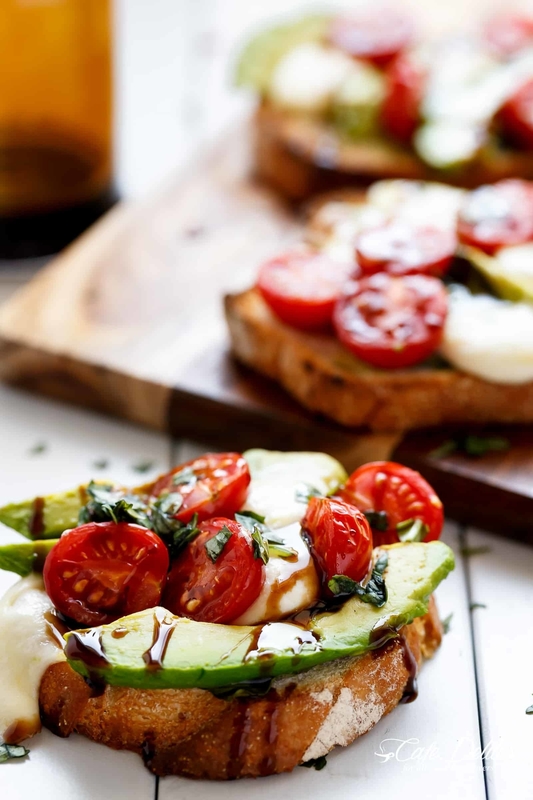 Don't be intimidated by the cook time for this recipe. 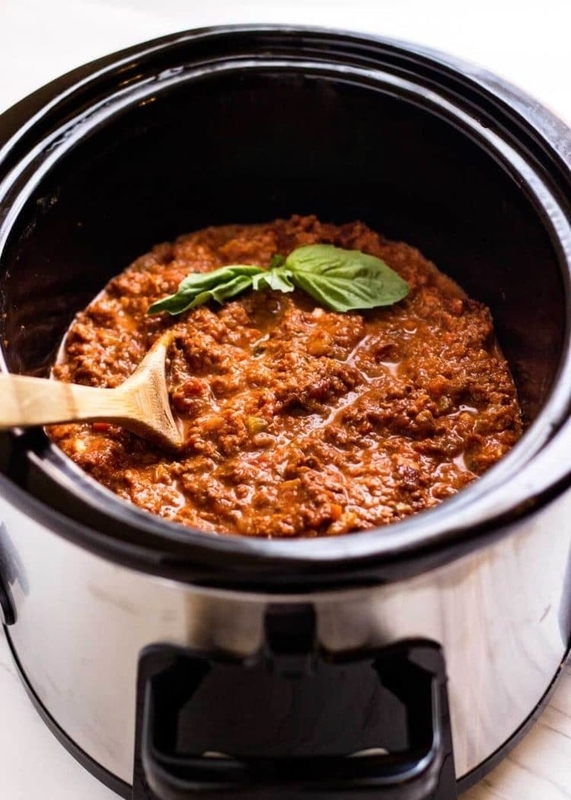 This pork and beef bolognese sauce sits in a slow cooker for six hours getting tender and flavorful, but the whole thing requires just 15 minutes of hands-on cooking. Get the recipe. You're just five ingredients and ten minutes away from a fancy AF dinner. 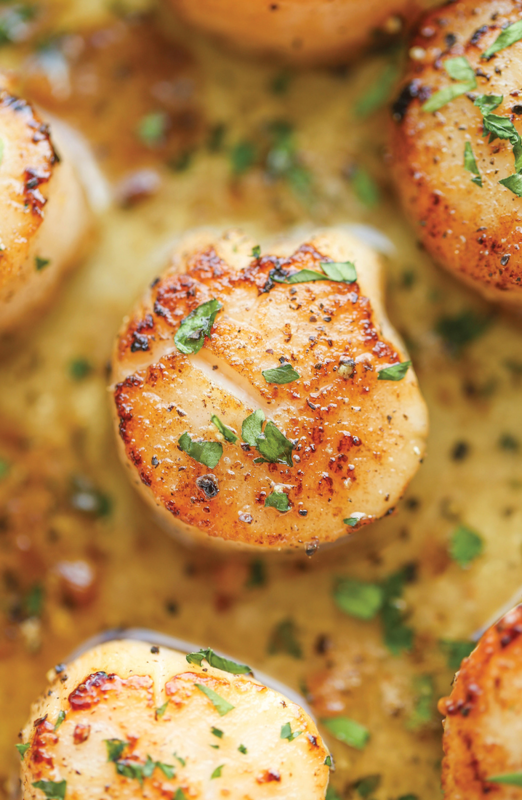 Serve these tender scallops over linguine, risotto, or rice. 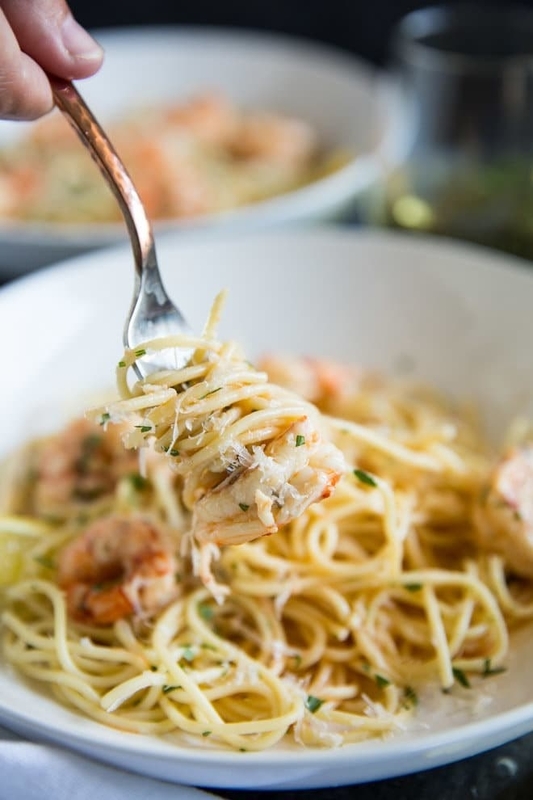 Just make sure to save some of that garlic butter sauce. Get the recipe. 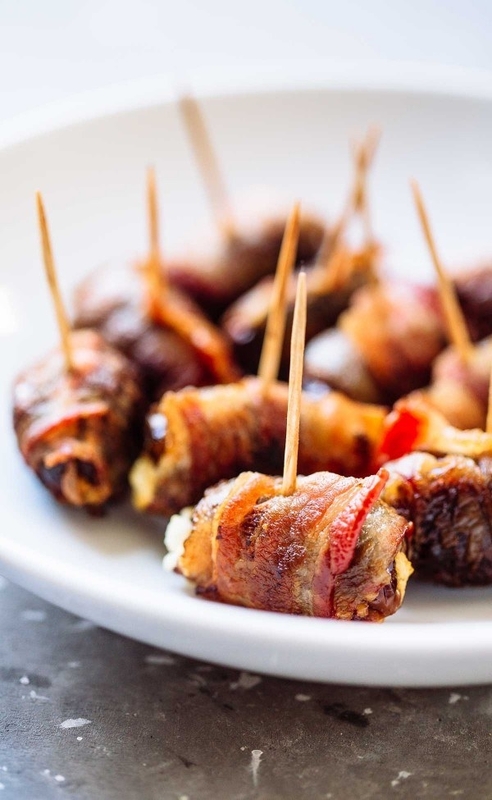 As if filet mignon weren't decadent enough, adding some bacon should do the trick. 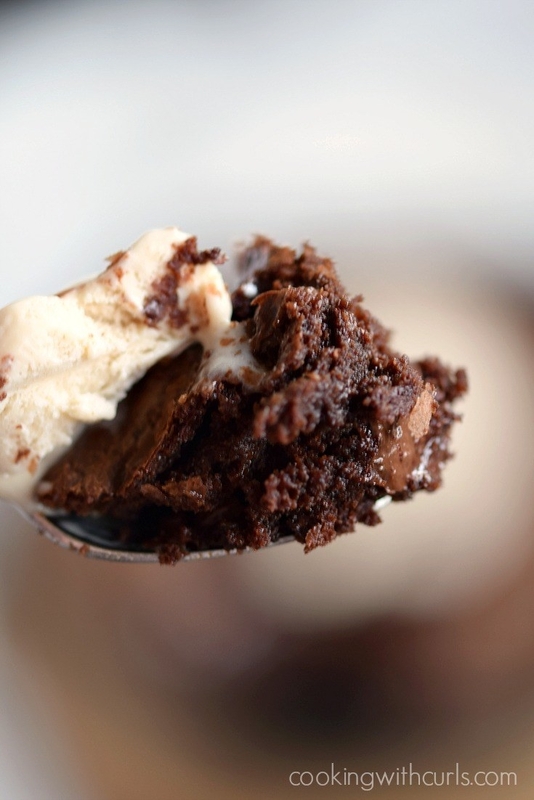 Oh, and let's not forget the two-ingredient truffle butter on top. Get the recipe. These Nutella filled chocolate cakes are sort of like a cheater's soufflé. 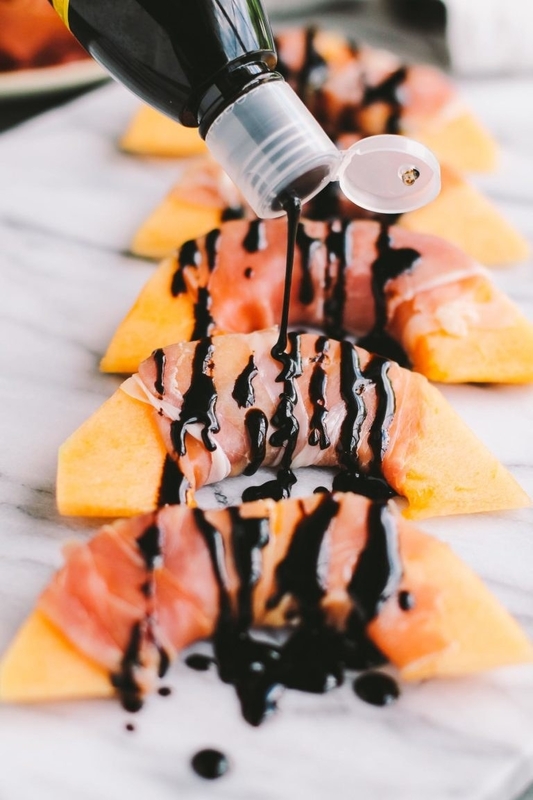 You won't believe they call for nothing more than Nutella, eggs, flour, and sugar. Get the recipe. 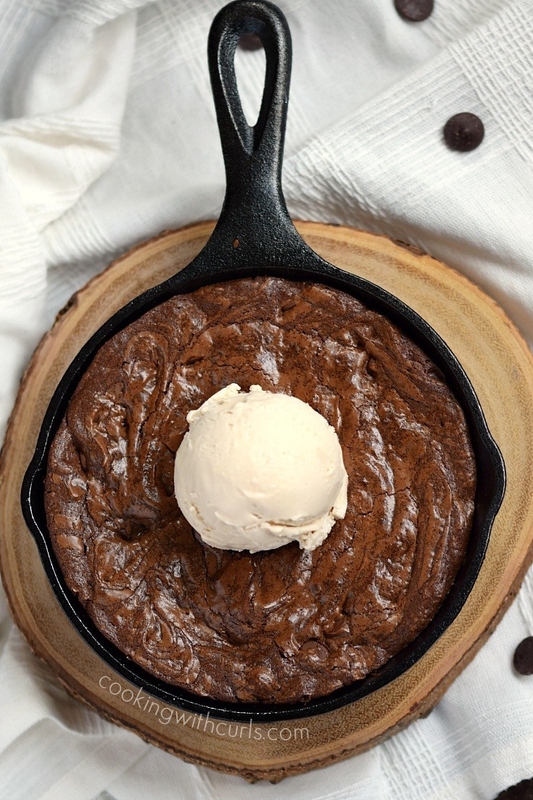 Cooked to gooey, chocolatey perfection in a cast iron skillet and topped with a scoop of your favorite ice cream, these perfectly proportioned brownies might make you fall in love. Get the recipe. Chocolate chips, whipping cream, egg whites, sugar, and egg whites are all you need to make this light and airy dessert. Get the recipe. Flambeing may sound like a crazy fancy cooking technique only Gordon Ramsay can pull off, but you can do it in your very own kitchen. This recipe calls for the addition of rum to the banana skillet, which causes a brief open flame. Get the recipe.